One more reason to LOVE LinkedIn. 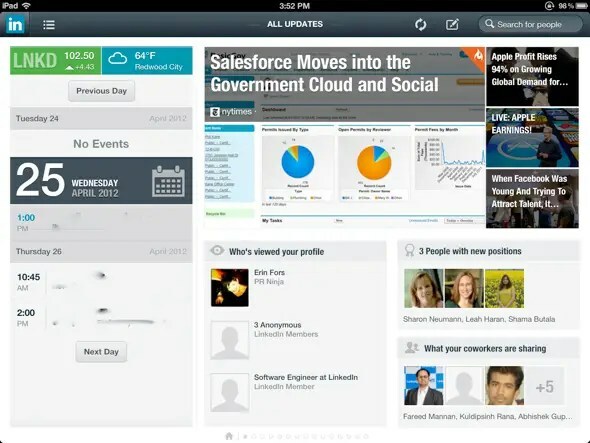 LinkedIn launched its first iPad app yesterday, and it brings a brand new look and feel to the social network. This is the company’s first foray into tablets, and the wait has paid off. The deliberation and attention to detail — it all shows, from the clean-as-a-whistle homescreen to the trendy slider interface for quickly browsing industry news. See more screenshots and read the full article by Business Insider. Check out the below screenshot to see one of my favorite features. All your appointments show up here. 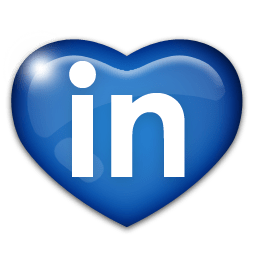 If applicable, the app will also pull in the LinkedIn profiles for the people you’re going to meet with. That’s a great way to prepare for an important meeting or interview.